Yes, you can sand and refinish a cork floor! So don’t put up with that grubby, marked or scratched surface any longer. Your floor will last for years with basic maintenance, but sanding restores the top protection layer - and increases the lifespan of your floor. 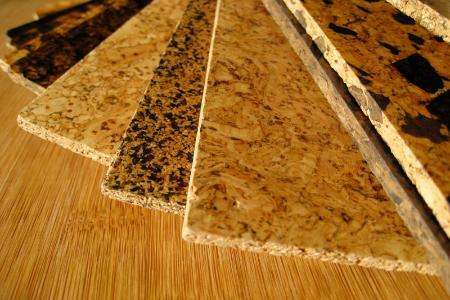 The floor surface must be solid cork at least a quarter of an inch (0.7cm) thick. Veneered surfaces are not suitable for sanding. As a natural environmentally-friendly product, cork has been used on floors for over a century in museums, hospitals, churches and libraries. With its millions of tiny enclosed cells, it is highly durable, offering thermal protection and variety in both pattern and colour. and expertise. It’s softer and more delicate than wood - so requires only light sanding. 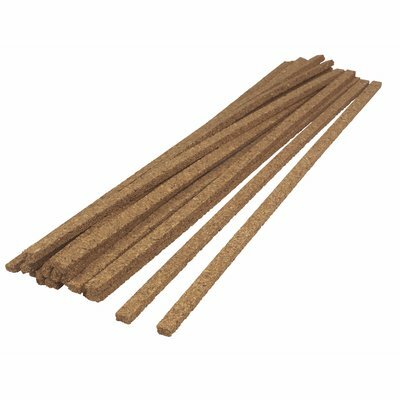 products for your cork floor, especially if you are thinking of applying a different kind of sealant. * cork flooring is usually sealed with a few coats of lacquer after it has been installed. Some floors may be treated with natural oil. Not sure of the finish? Soak a rag with white spirit and rub it on a small area of the floor. If the finish turns cloudy and comes off onto the rag, then the floor has been oiled. Polyurethane lacquers are not affected by white spirit. * if the floor has been oiled, do not sand. Simply add more oil. * if the floor is in reasonable condition, use paper with a grit of 100. Working with this fine paper will be slow but the result will be a smooth surface. * for poorer surfaces, the paper should be a fine grit, starting from 60. Keep the sander moving to prevent damage. Move up to finer papers of 100 grit or more - until you have the surface you desire. 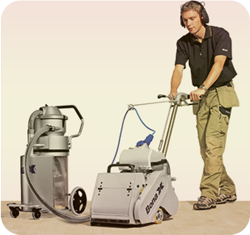 * vacuum thoroughly between each sanding. * choose your finish. Water-based lacquers are environmentally safe and recommended for cork floors. * apply the lacquer with a four-inch soft-bristled paintbrush. Begin from the side furthest away from the door and work your way toward the exit. Overlap your passes - and work from wet to dry to minimise brush strokes. If you use polyurethane lacquer, be prepared for its fumes. Ensure adequate ventilation and wear a breathing mask. Apply extra coats until you are satisfied with the finish. Allow each one to dry according to the manufacturer’s recommendations. * sand after each coat as lightly as possible to remove any imperfections. Too complicated for you? Then call on Sanding Wood Floors for your free assessment. Use our expertise and experience - with over twenty years in the floor sanding and restoration business. We’ve restored hundreds of floors in every domestic and commercial setting - from every level of condition. Entrust us with your floor. Call us today!